Boasting 163 luxurious hotel rooms and suites in the heart of Pigeon Forge, TN, the Hotel surrounds you with mountain charm and provides captivating views of the Little Pigeon River and the Great Smoky Mountains. All rooms feature private balconies and select rooms feature Riverside views, bedside Jacuzzi's and inviting fireplaces. Check-in is 4 pm and check-out is 11 am. Breakfast is served in the breakfast room located just off the grand lobby from 6 am - 10 am (unless otherwise specified). Seasonal Outdoor Water Parks are open from 9 am - 11 pm. Music Road Resort takes our guest comfort very seriously and offers a smoke-free and pet-free environment. Music Road Resort Hotel offers rooms with roll-in showers. 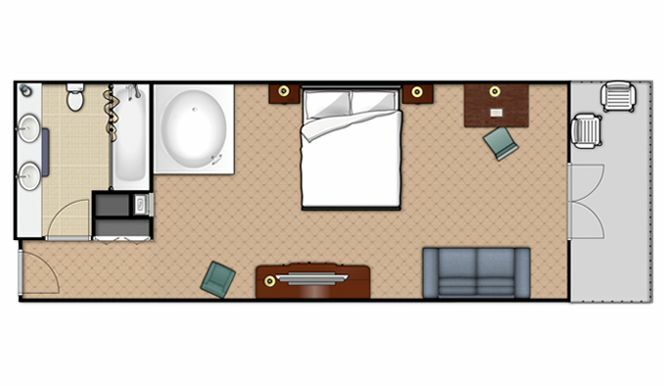 ​The Deluxe Queen Room has 370-450 square feet of comfortable living space, two queen size beds, a large bath with a double sink vanity, and a private balcony. 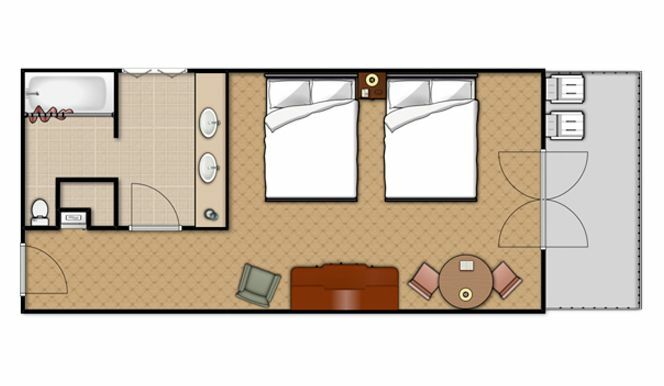 ​Our Superior Queen guest room offers two queen beds and a cozy fireplace in 350 square feet of open living space. 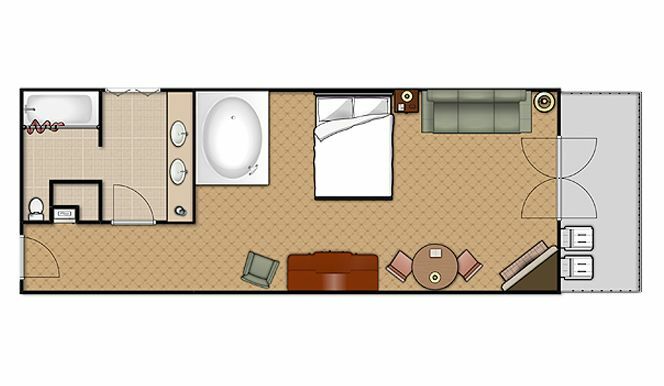 ​Our King Mini Suite offers one King bed in 360 square feet of open living space overlooking the Little Pigeon River. Enjoy inviting wood floors and a small seating area with loveseat which opens to accommodate an additional guest. These rooms accommodate two people comfortably with a layout of 360-470 square feet. 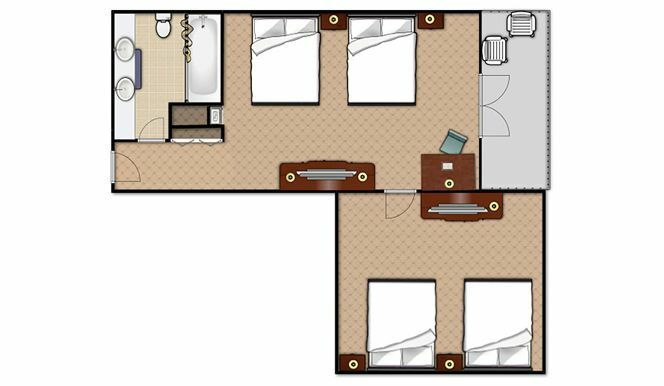 Enjoy a king size bed, double sink vanity, bedside Jacuzzi, and private balcony overlooking the Little Pigeon River. 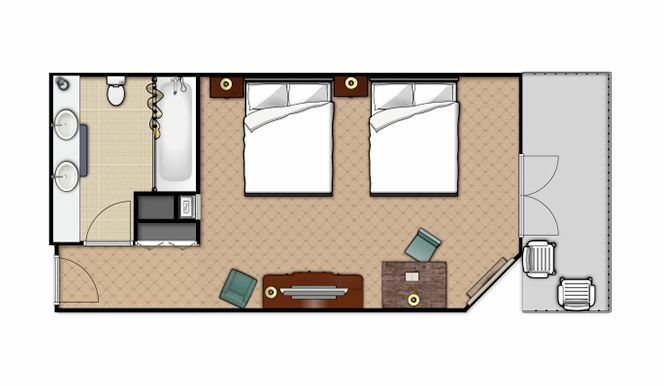 For comfort found nowhere else in Pigeon Forge, the Premier King offers a cozy fireplace, a relaxing bedside Jacuzzi, and sleeper sofa in an open 430 square foot room. 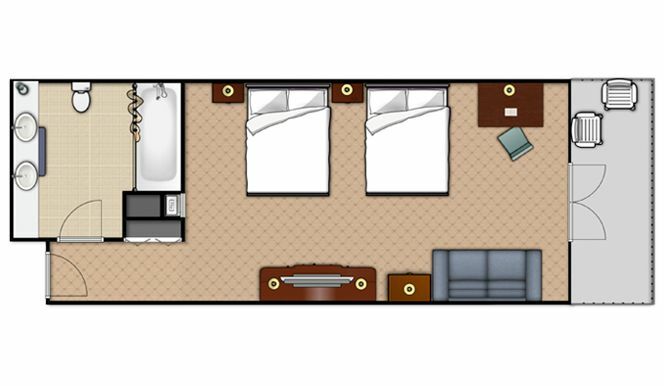 Our most popular room for family vacations, the Family Suite offers plenty of room for everyone (560 square feet) with two queen size beds and a pull-out sleeper sofa in an open seating area. The kitchenette with counter-top and bar stools is the perfect space for the family to eat breakfast, lunch, and dinner together. Afterwards, head outside to the private wrap around balcony for the outstanding view over the river toward the rolling Smoky Mountains. 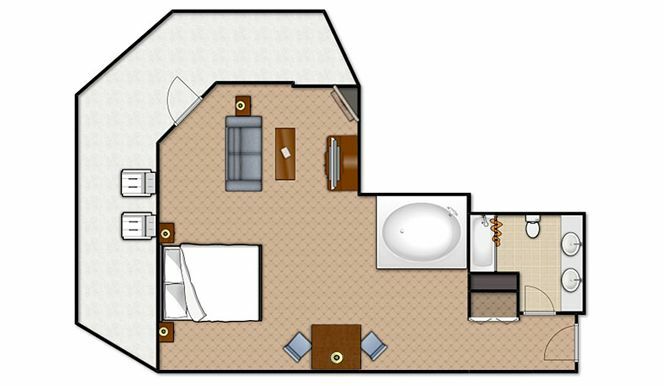 With two bedrooms, each with two queen size beds and a total of 590 square feet, this premium suite offers the perfect balance of privacy, space, and comfort. 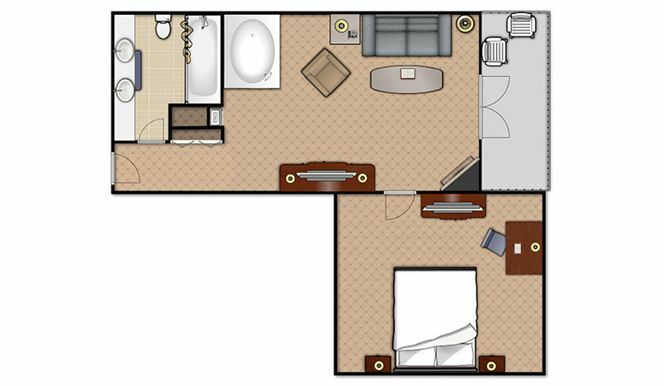 It includes a large bathroom with double vanity, private balcony, and separate televisions in each room. Bring the whole family together during your vacation to the Great Smoky Mountains. ​At 560 square feet, this private corner room is a harmony of comfort and romance. Enjoy a large king bed, bedside Jacuzzi, warm fireplace in the living room area, and private balcony overlooking the serene river and majestic Smoky Mountains. 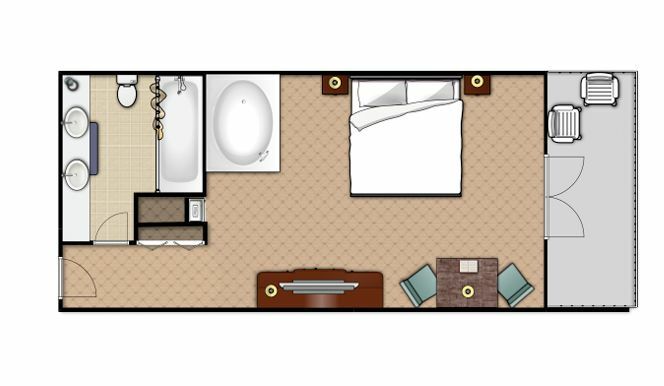 The Executive Suite at the Hotel is the choice for the refined Pigeon Forge traveler. It offers two rooms with 575 square feet of open living space. The bedroom has one king bed and one 37” flat screen television. 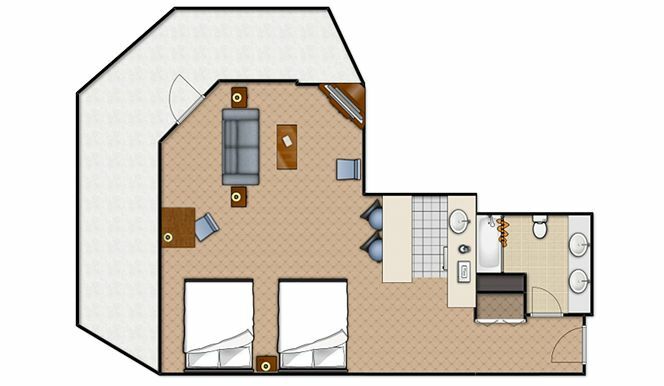 The living room features a sleeper sofa, a second 37" flat screen television, relaxing Jacuzzi, and door to the private balcony. Make yours a relaxing retreat to the Smokies.